Dell brought a new 2-in-1 laptop with a lot of firsts in its hardware. The Dell Latitude 7000 is currently the thinnest and lightest laptop they have ever built. Let’s check out what new things they packed into their package. 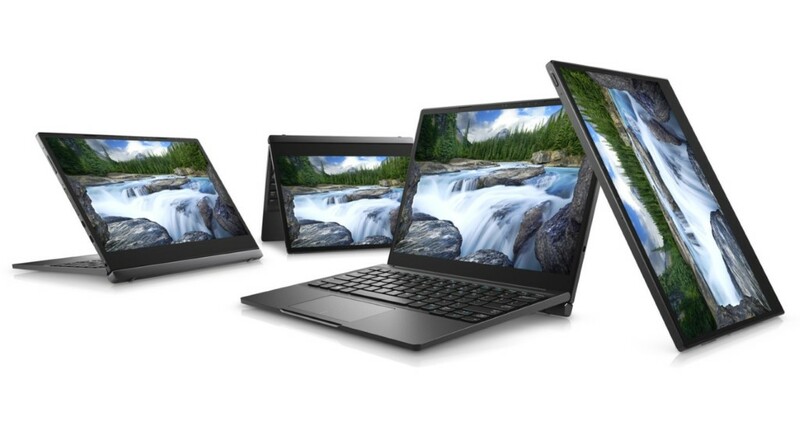 The Dell Latitude 7000 is running on Intel’s Y series Kaby Lake processors. The entry level version will be featuring 8GB of RAM and 128GB M.2 SSD for storage. Screen resolution will be 2880×1920 with a 3:2 aspect ratio, similar to the Microsoft Surface. Ports on the device include a USIM/USD combo which lets you use either a combination of two SIM cards or a SIM card along with a microSD card. It is noted that only WWAN networks are supported. There are also 2 Type-C ports and a headset/mic plug. There is also a detachable keyboard available which adds more functionality to the Dell Latitude 7000. It packs an additional battery that charges your device when connected, backlit keys, and an integrated touchpad. The positioning of the device is almost limitless. It can be used as a laptop, tablet, and various standing positions. Wireless charging is integrated into the keyboard that will work with a separate wireless charging mat. The wireless charging mat then charges the keyboard if the tablet still has power. If both are depleted, it’ll charge the tablet first. One big problem with this system is its price. The entry model comes in at $1,199 which doesn’t come with the keyboard or the charging mat. The keyboard will hold you back another $379 and the wireless charging mat will be $200. Although the bundled price of the keyboard and wireless charging mat will be $549.99, saving you $30, it’s still quite a steep price. This is a good start for wireless charging to be integrated into laptops, but at the moment, it’s quite pricey. What do you suggest they could do to improve the Dell Latitude 7000?